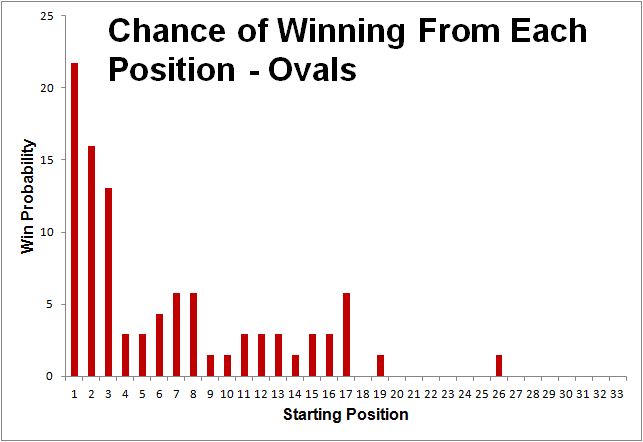 It's surprising the oval starting up front win percentage is that high, as the TK style charges from the rear are most memorable. Good stuff. Too good. We'll be watching you . . . I was surprised about the ovals too. 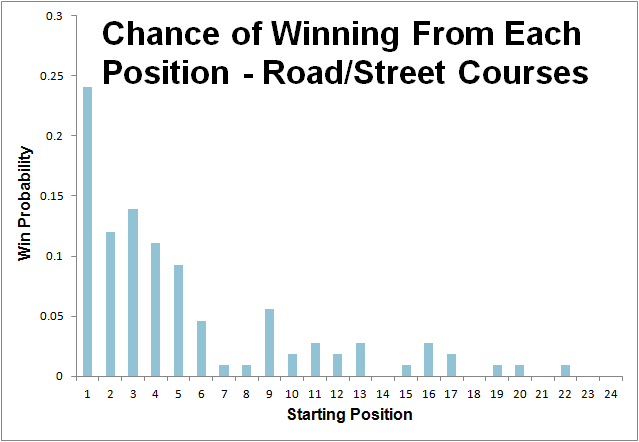 I would have guessed beforehand that winning from pole would be closer to the 10 percent mark on ovals. I'm glad you're enjoying the content!